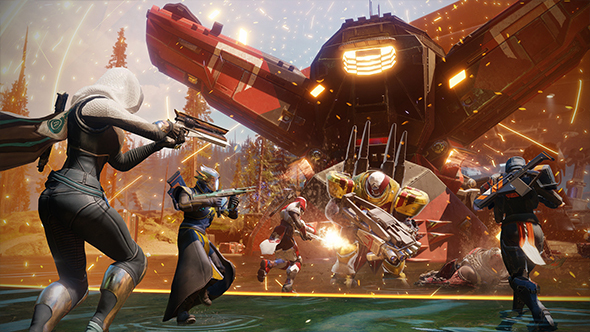 Destiny 2 has already had some significant sales as part of Black Friday – even the barely month-old PC version – and it seems Bungie are doing even more to keep new blood coming into the game. A free trial will begin tomorrow, offering up a taste of the game for anyone curious. Here’s everything we know about Curse of Osiris, Destiny 2’s first DLC. There’s little info beyond what’s shown in the trailer above, but it seems this will be more of a demo than a free weekend-style promotion. You’ll be able to see some portion of the campaign across the European Dead Zone and Titan with the option of playing either solo or co-op with friends. The Quickplay playlist will also be available in Crucible multiplayer. All your progress will carry over into the full game. It’s been an awkward couple of weeks for Destiny 2. Even after early concerns over player counts seemed to fade away, the game got wrapped up in the ever-present loot box controversy when it became clear XP gains were being invisibly throttled behind the scenes. Now that throttling system is gone, but the XP requirements have instead been doubled. That’s still faster and clearer than the previous system, but not exactly what the community was hoping for. A free trial is a step in the right direction, allowing players to check out the game risk free and find out if it’s right for them. Destiny 2’s first DLC, the Curse of Osiris, is quickly approaching release, and we’ll see how the game fares over the long term.